What does safe mean to you? As a homeowner, you should never have to question if you made the right choice when renewing any aspect of your home. Homeowners continue to choose Green Star Exteriors because of our overall quality of work, customer satisfaction, and the quality products we provide. Gain peace of mind knowing you made a safe choice on your current renewal project. We're inviting you to experience what it means to be Green Star Safe. 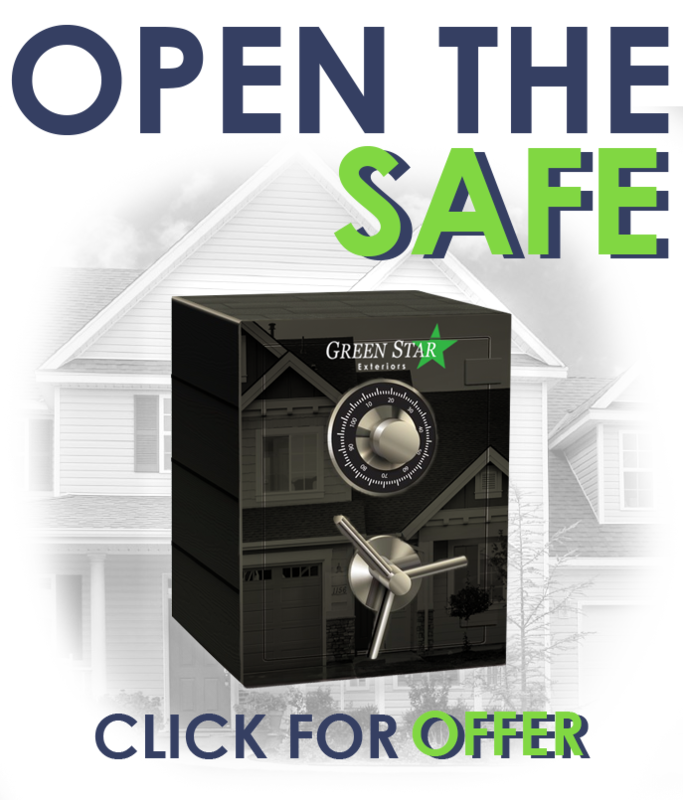 Click below to open our safe and receive a special limited time offer on our services. See all of the products and services we offer and learn why we're leading the way in the home exterior replacement industry.